Did you know that less than 29% of Colorado homeowners own their properties free and clear? If living mortgage-free seems like a distant dream to you, at least you’ve got company. The good news is that with a little discipline, you can shave years off your mortgage and pay far less interest to your lender over the long haul. If you have some wiggle room in your budget, try one of these five simple strategies to get ahead. Adopt a Bi-Weekly Payment Plan. This can be a painless way to make an extra payment every year. Just pay half your mortgage payment every two weeks instead of once monthly. The result is the equivalent of 13 payments a year. If you have a 30-year fixed loan of $250,000 at 4% interest, this strategy would take five full years off your mortgage term and save you $30,000. Make an Extra Payment Per Quarter. It’s an aggressive plan, but if you can swing it, it will save you tens of thousands of dollars in interest. Plus, by making quarterly extra payments, you can polish off a 30-year mortgage in just 19 years! Earmark Extra Cash for Your Mortgage. If your superpower is self-restraint, you can take that bonus, tax refund, or gift and turn it into long-term home loan savings. Take the “Every Little Bit Helps” Approach. 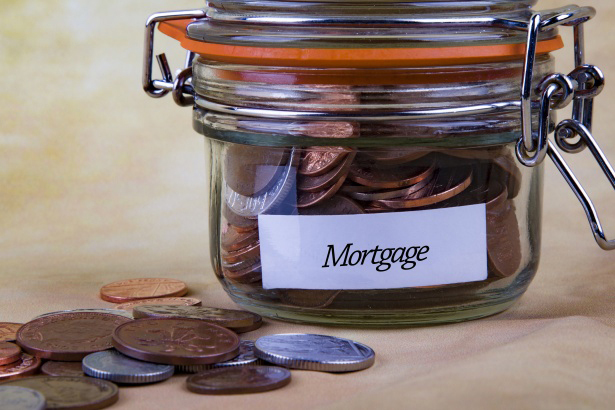 Could you pay just $100 extra per month toward your mortgage? On a 30-year, $220,000 home loan, this would save you $28,000. Or perhaps you could add a small fraction like one twelfth to your monthly bill. Slow but steady wins the race. When you find a tactic that will work for you, be sure to investigate the terms of your mortgage to see if there are any prepayment penalties in place. Although these are somewhat limited in Colorado, these penalties can lurk in the fine print. If prepayment penalties are part of your contract, your hard-earned money might be better invested in another way. Not a fan of math? There are lots of free early mortgage payoff calculators online that can make planning your attack simple. You are not taking full advantage of an employer match for your 401(k). There will be few situations in life when you are offered free money. This is one of them. You do not have an emergency fund. If paying extra on your mortgage will mean not squirreling away enough money for a rainy day, concentrate on that first. Getting equity back out of your house in times of trouble is possible, but it isn’t free. You have consumer debt at a higher interest rate than your mortgage. If you have a mortgage at 4% and a credit card balance at 8%, it’s a no-brainer to pay your card off first. Can’t make extra payments right now? Fear not. Financial knowledge is financial power. You may be able to take advantage of one of these strategies down the road. In the meantime, enjoy the tax breaks that having a mortgage affords you. Remember, when it comes to mortgages, math is your friend. With a little number-crunching on the interest calculator, it is easy to reduce your long-term burden and free up your monthly budget sooner in life. If you would like a referral to a lender who can help you reach your long-term financial goals in a smart way, call Rocky Mountain Real Estate Advisors at (303) 805-9551. We will be happy to connect you with one of our trusted partners.